“Since it’s been in my studio, I’ve had the opportunity to compare it to several original 44’s, and the sound of both old and new are very very similar, with the A440 less than 5% brighter than an original. 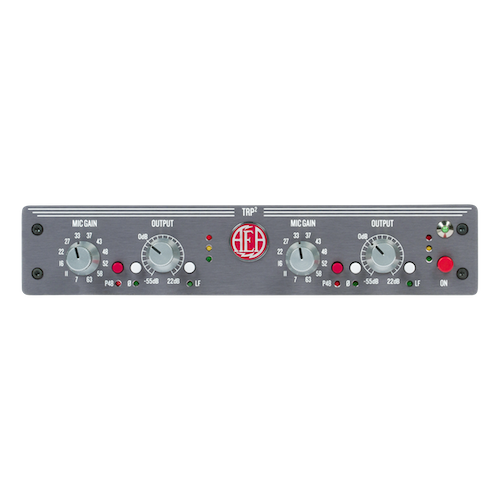 Plus the added bonus of the A440 being active, which accounts for its 20db more gain than an original mic. Already my recordings have benefited from this mic, and I look forward to many years of service with it. I can’t recommend it enough! AEA continues to surprise me. My A440 is my favorite microphone, and my R88 is a very close second. As I was asking about an active R88, it was suggested I try the N8’s…which is essentially an active R88, as two mics. I tried them out as a Blumlein pair on piano, using the stereo kit provided, essentially getting my ‘active’ R88. The project was a jazz trio album (piano, acoustic bass and drums) and it took me approximately 20 seconds to decide I would buy these mics. Simply raising the faders is all it took to get ‘the sound’. I hate wasting time on anything technical, that which gets in the way of making the music, so the N8’s perfectly fit the way I like to work. What I’ve grown to appreciate with all the AEA models is I feel they are the first mics that ‘hear’ the sound the way I hear the sound. Sounds corny, I know, but what I mean is they are the closest thing to me sitting in the sweet spot in front of an instrument during a performance. Robert L. Smith is a producer and engineering from New York City. He was the producer and engineer on numerous songs for the hit TV show ‘Glee’, including the covers ‘Teenage Dream’ and ‘Hey, Soul Sister’, both which charted on the top 100 on Billboard. Smith has also worked with Lady Gaga, Aerosmith, and David Bowie among others. He is a founding member of the Pyramid Recording Collective and owns the production company, Defy Recordings.